We’ve all been there. You’re rushing out the door, then come to a sudden halt. Dude, where’s my car keys? 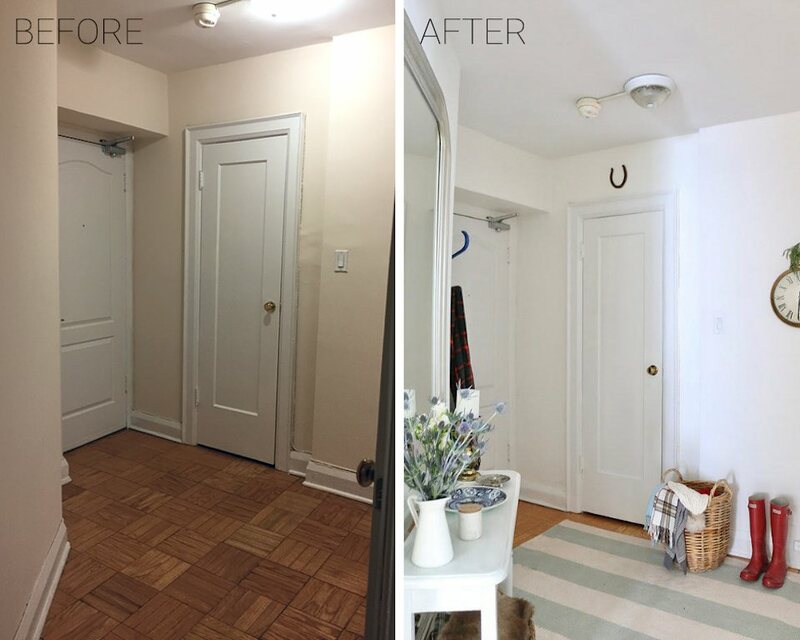 One solution to not being able to find your daily essentials, frantic mornings and home clutter may be simpler than you think: turn your attention to the front door landing strip. 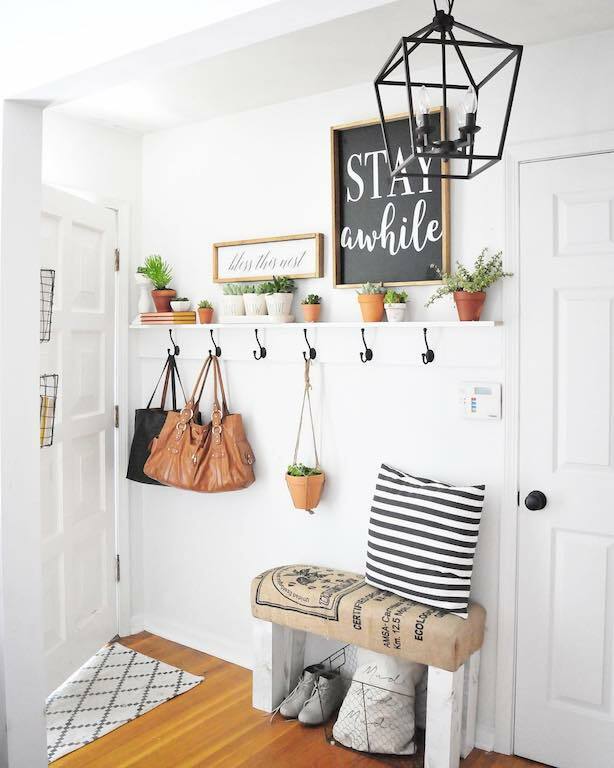 You don’t need a designated mudroom or even a closet to stow away the daily essentials that pile up at your front door — or worse — bleed into the rest of the home. 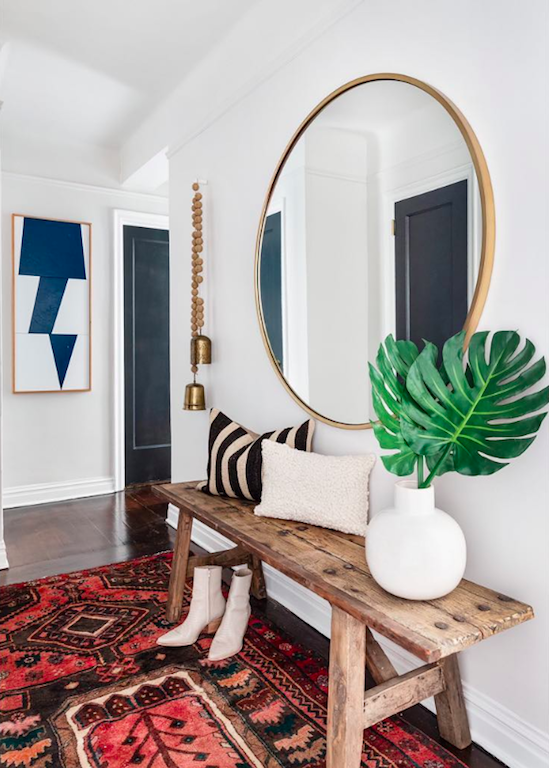 To keep you organized all year long, we asked Toronto-based interior designer Kendra Bester for the landing strip essentials she uses in her own home and stylish small-space solutions to maximize what you already have. 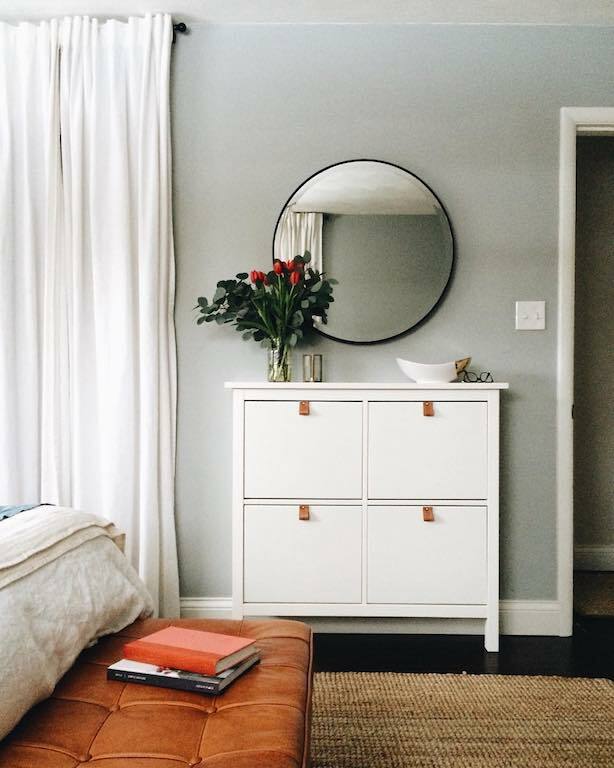 With Bester’s practical tips, you can complete the project in a weekend and you’ll feel a positive ripple through the rest of your home (and maybe even life). “You want to create a drop point at the front door, with organization systems in place so there is a clutter-free place to store your bags, jackets, mail, mitts and all the other daily essentials,” says Bester. What happens in the outside world, stays in the outside world. The point of your landing strip is to leave it at the door. “Right away, you’re creating a routine when you get home that keeps those items from trailing into the rest of your apartment,” Bester explains. 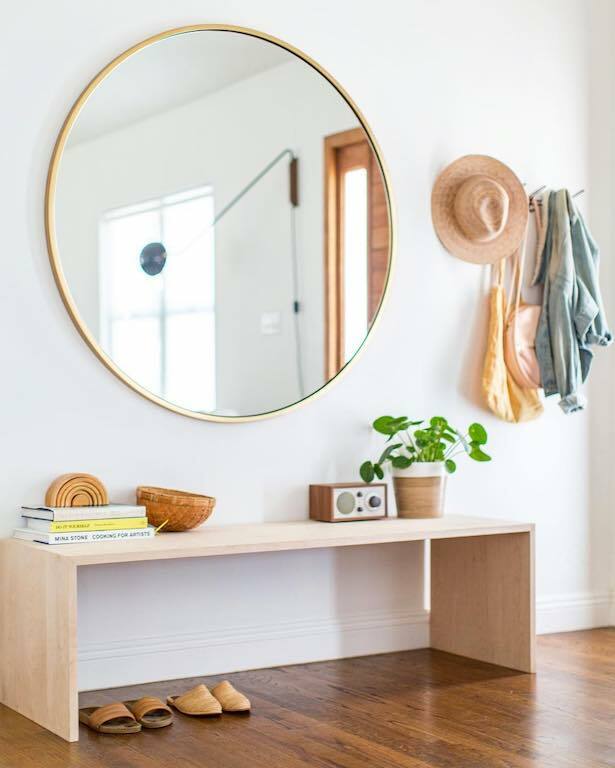 You can also use a bench for this area, serving triple duty as seating, a surface area to place your things, and (using the space underneath) a spot to neatly line your shoes. The designer suggests making it a focal point by painting the bench a poppy color. 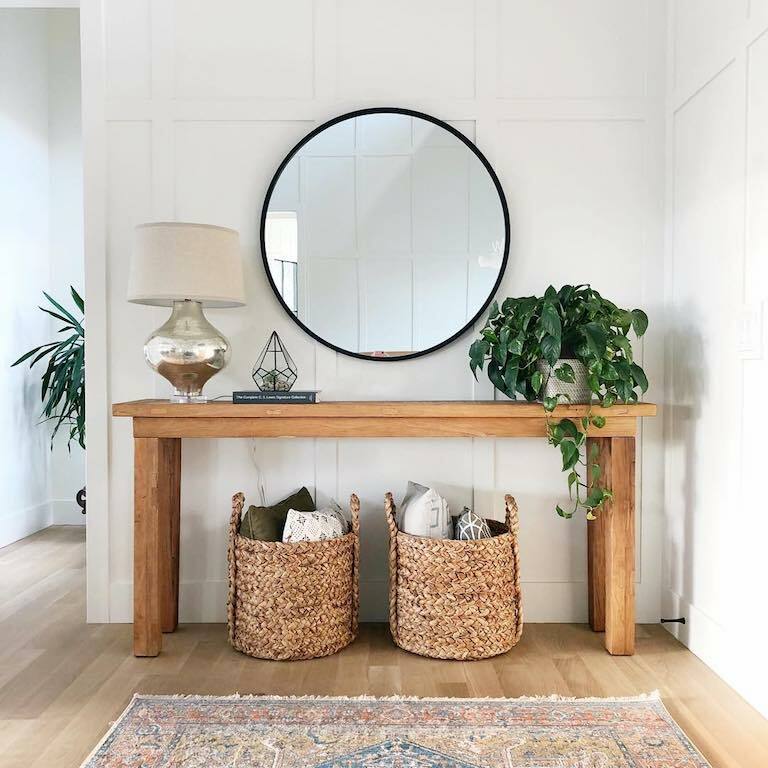 Instead of leaving your hats, scarves and reusable bags on hooks and surfaces, Bester suggests stowing them underneath the console in a decorative wicker basket. It’s easy to reach for and hidden from plain view. You can also keep umbrellas, beach towels and flip flops there when the weather warms up. Gone are the days of throwing your jacket on the dining room table. Bester suggests having at least three hooks on the wall or behind your front door to store jackets and bags. Then give your good lookin’ self one last up-and-down before heading out the door. “If you have enough room, a bench with storage underneath is a great option. If you’re tight on space, you can also get a small stool. Structube has some great options where you can also store a basket underneath,” Bester suggests. Because no one wants to put on lace-up boots while standing. In no time, the organization systems you put in place will become as routine as flossing or buckling your seatbelt, supporting you as you seamlessly move in and out of the world.